The U.S. Treasury Department recently approved pension benefit reductions for two pension funds, the Western States Office and Professional Employees Pension Fund (“Western States”) of Portland, Ore., and the Ironworkers Local 16 Pension Fund (“Ironworkers”) of Towson, Md. Both the Western States and the Ironworkers pension funds filed applications with the U.S. Department of Treasury in accordance with the requirements of the Multiemployer Pension Reform Act of 2014 (MPRA). The benefit reductions take effect on October 1, 2018.
to liabilities of $525 million, meaning the fund was only 64 percent funded. The Ironworkers fund was at a similar 64.2 percent funding level, with $78 million in pension assets and $121.5 million in liabilities. The Western States fund will cut benefits by 30 percent for most plan participants, as outlined below, while the Ironworkers will trim benefits by 20 percent. Both recovery plans are meant to avoid insolvency on the part of the respective pension program. The Western States fund risked insolvency by 2036 if the plan was not approved.The Ironworkers fund faced a slightly shorter time frame with insolvency projected by 2032. The Western States Fund included 7,331 participants and beneficiaries who were eligible to vote, and 7,232 of these individuals were mailed a ballot (99 could not be located). The measure would be defeated only if a majority of eligible voters rejected the plan. In fact, 32 percent of voters did reject the plan while only 920 approved, but almost 4,000 participants failed to return a ballot. As a result, the measure passed. The Ironworkers vote encountered a delay when the Treasury Department, which administers the voting process, announced that a mechanical printing error voided the first round of ballots. A subsequent mailing was initiated, and all Ironworkers who cast a ballot from the first mailing were instructed to vote again. The final deadline to vote was on Monday, September 17, 2018.Of the fund’s 1,044 participants, 33.9 percent voted to reject the benefit reduction. However, the measure passed because a majority of eligible voters did not return a ballot. There are 10 other pension benefit reduction applications currently under review by the U.S. Treasury, which has now approved seven applications and rejected five others. The Western States fund went through three applications to the U.S. Treasury Department for the reduction of benefits until the plan was accepted, while the Ironworkers plan went through two applications. The U.S. Treasury Department approved both plans on August 3rd, 2018. Pursuant to the requirements of MPRA, both funds subsequently initiated a voting period in which participants of the plan had the opportunity to vote to approve or reject the suspension of benefits as specified in each individual recovery plan. The two pension plans used different calculations to determine the percent by which benefits will be reduced. For the Western States plan a 30 percent reduction in benefits will be applied to most participants and beneficiaries. Exceptions are being made on a sliding scale for participants age 75 and older as of October 31, 2018. At the lower end of the scale, 75 year-old participants will be subject to the full 30 percent reduction, while participants 80 years or older will not see their benefits reduced. Disability pensions are also not reduced. No participant will be subject to a reduction below 110% of the PBGC guaranteed benefit level. The Western States fund took into consideration a variety of factors like age, life expectancy, plan status, and benefits history to establish a non-discriminatory basis for benefits reduction. The Ironworkers plan is more complicated and uses a “reduction percentage” that is based on the number of months between a participant’s age (expressed in years and completed months) and age 80. The reduction percentage of 0.125% is applied to retirees and terminated vested participants and 0.0625% for beneficiaries. The reduction percentage can not exceed 50 percent in any event. Some plan participants received a “thirteenth” check in previous years, but this additional payment is no longer in effect. The Multiemployer Pension Reform Act of 2014 (“MPRA”), enacted on December 16, 2014, gave the PBGC flexibility to approve multiemployer pension plan benefit cuts. Trustees of funds seeking to trim benefits must file an application with the Treasury Department to demonstrate that benefit reductions are required to extend the time it can pay benefits while forestalling an insolvency event. The MPRA also allows plan mergers, plan partitioning, and benefit suspensions under certain circumstances. These benefit plan reductions are consistent with efforts of the Pension Benefit Guarantee Corporation (PBGC) to reduce the number of potential failures among distressed multiemployer pension plans. Earlier this year we wrote about the PBGC’s prediction that its Multiemployer Insurance Program is likely to run out of money to fund promised pension benefits by fiscal year 2025, and possibly as early as 2024. Approximately 1,385 total private sector multiemployer pension plans are insured by the PBGC. Of these, the agency predicts that as many as 130 multiemployer plans covering 1.3 million participants will become insolvent in the next 20 years due to a current underfunding level of $36.4 billion. A multiemployer pension plan is established through a collective bargaining agreement between two or more employers and a labor union. These plans are also known as Taft-Hartley plans. Each plan is managed by a board of trustees, which contains an equal number of employer and union trustees. The transportation, construction, retail, manufacturing, hospitality, and entertainment industries—which rely on a large base of employees who tend to move from one employer to another within the industry—represent the largest number of multiemployer plans. A “multiemployer” pension plan is not to be confused with a “multiple employer pension plan” (or MEPP). An MEPP is a qualified retirement plan, such as a 401(k) plan, that is sponsored by multiple unrelated employers. Farmers’ cooperatives; business franchises; religious, charitable and educational institutions; and Chambers of Commerce are common examples of connected or affiliated employers that may comprise a multiple employer pension plan. Mark Johnson, Ph.D., J.D., is an experienced pension and ERISA expert on pension plan reductions, 401(k) litigation, and plan administration. He is a former ERISA Plan Managing Director and plan fiduciary for a Fortune 500 company, Dr. Johnson has practical knowledge of plan documents as well as an in-depth understanding of ERISA obligations. 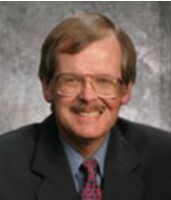 He works as an expert witness and consulting expert on 401(k), ESOP and pension fiduciary liability; retiree medical benefit coverage; third party administrator disputes; individual benefit claims; pension benefits in bankruptcy; long term disability benefits; and cash conversion balances.